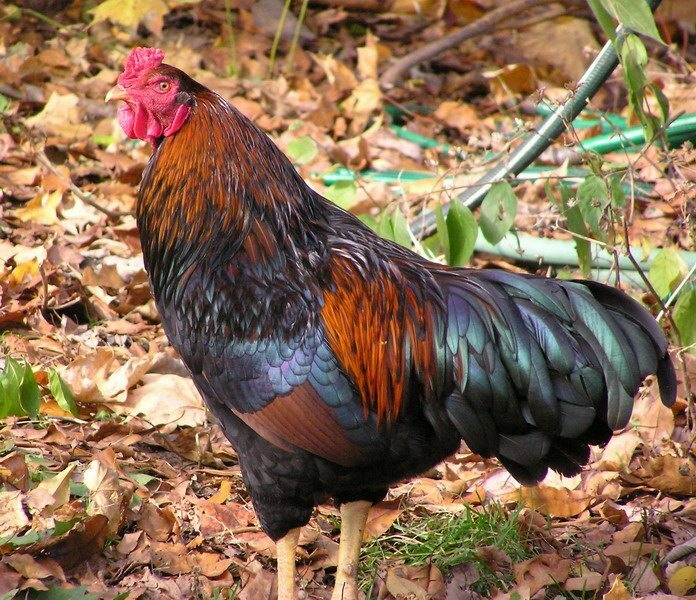 Show birds should be pure breed fowl that display the best condition, color and shape for their breed. 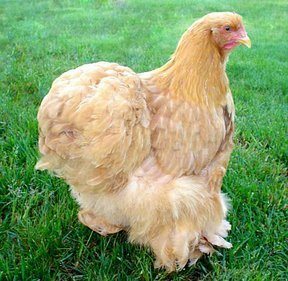 Pure breed birds are those that are bred and selected for conforming as closely as possible to the standard set down for each breed. To choose the breed best for you, visit shows and talk to the owners. This way you will learn what is required for showing each different breed, their personalities, and what they are like out of the show pen. 1. Good show prep should not be rushed. It is time consuming but it is better to take one or two well prepared birds than a slew of under prepared poultry. You are meant to be displaying what you feel is the best of the breed and so you will want to present them as the best out there. 2. Pen train your birds. If they are not relaxed that will be a mark against them. Get them used to being put into a smaller show pen, then handled and fed in the pen. You will also want to work with them on being relaxed as you remove them from the pen so they don’t kick shavings all over the judges. Also, find a stick and teach your bird to display themselves when directed to do so by the stick. 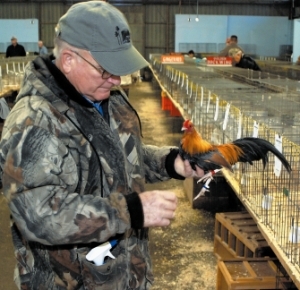 It might be a good idea to visit some shows and watch how the judges direct the birds so you can train your poultry with the same motions. 3. Eight to twelve weeks from the show, go over your bird and remove any broken feathers. You can directly pluck them, or trim them close to the skin, leave them for a few days and then return and pluck them. Trimming them close to the skin kills off the feather and makes removal easier and less painful and suprising for the chicken. It may seem a long way out, but it takes feathers 6-8 weeks, or longer depending on length, to grow back in. 4. One week to three days before showing, you will want to wash your birds using the three bucket method. Light colored birds will probably need a more thorough washing than darkly plumed birds, but all birds look better after a good shampooing. Fill one bucket with warm soapy water, and two with clean water. Scrub the bird in the direction of the feathers- this is important as going against the feather may lead to breakage. Once you’re sure they’re clean, dunk them into bucket two and rinse them well, then dunk them into bucket three to make sure they’re totally clean and lightly dry them with a towel before blowing them MOSTLY dry with a hair dryer. If it is warm, you can let them out to dry the rest of the way in the sun, but if it is cool they can dry in front of a heater as long as you make sure they don’t burn themselves. 5. The day of the judging, go over the legs and smooth any scales away. Rub dry looking legs with vaseline or baby oil. Carefully remove any dirt from under the scales of the legs so they are clean. If necessary, trim beaks and nails but be careful not to tip the vein. Dip a rag in baby or olive oil and rub this on the comb, face and ear lobes to enhance the color and brightness. It is important that you do not use too much as it can make the bird appear oily. REMEMBER! You cannot “fake” the bird’s appearance by dying feathers or coloring ear lobes, but you can enhance the bird’s natural qualities.